Panoramic views of Gothenburg (on Sweden’s west coast) competed with high-wow factor platings at Heaven 23. The majority of the dishes coming out of the open kitchen featured the King Size Deluxe. This is a monster serving of shrimp piled tall on greens, hard boiled egg, slices of cucumbers all hiding what must have been a scoop of mayonnaise topped with dill. Oh yeah, this all sat on a thin piece of bread. Four of the six at our table ordered this house specialty, which is a spin on the open-face shrimp sandwiches sold throughout the region. 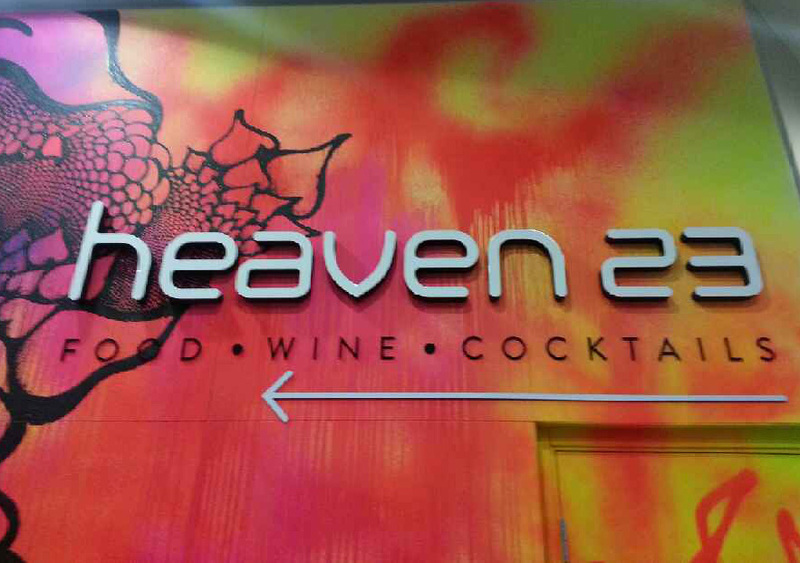 None of those versions come close to Heaven 23’s in size, presentation or flavor combination. 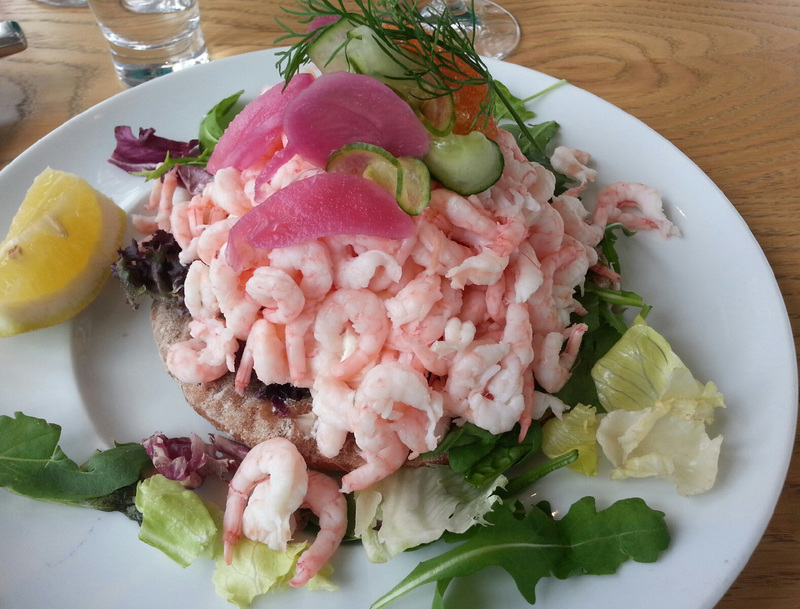 According to our server, each serving contains 200 grams of the hand-peeled arctic shrimp; that’s almost half of pound! Ironically, the large portion was inspired by the U.S, where almost anything is available in a super size. The menu describes the shrimp as prawns, but these are small, slightly sweet and remarkably tender. 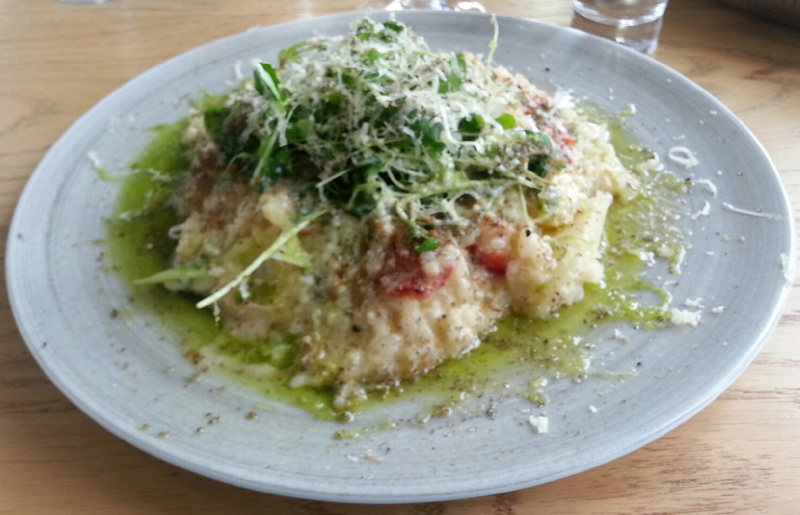 We had two renegades at our table: one ordered the risotto and the other the lamb. I tasted the former, which was chewy and rich with asparagus. The plate for the latter was in danger of being consumed because of the desire to eat every last bite. Our experience was enhanced by the friends with whom we shared our meal. Good conversation tested our efforts to leave as little of the shrimp as possible. This was, indeed, quite a challenge, but a very tasty one.